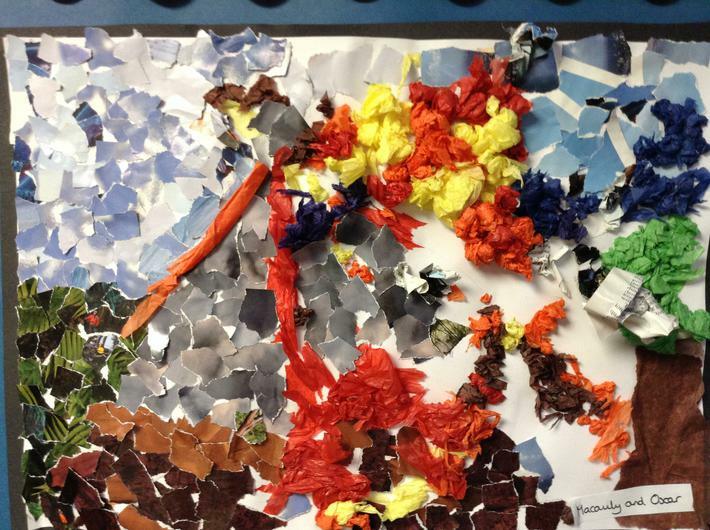 In our art lesson we were lucky enough to have some helpers join us! 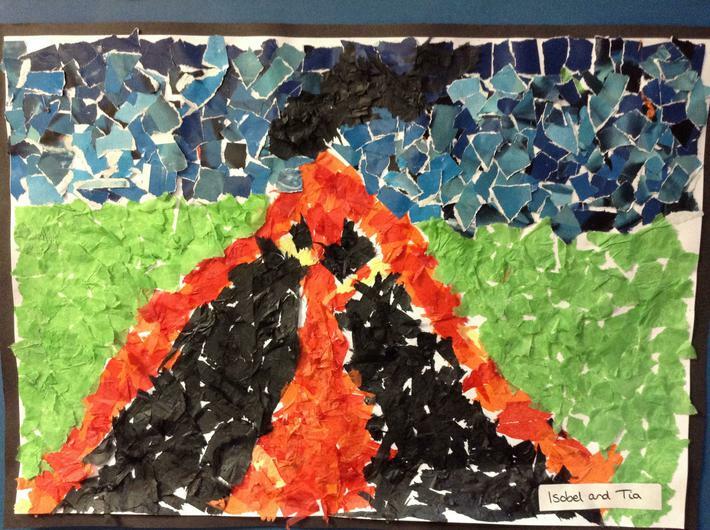 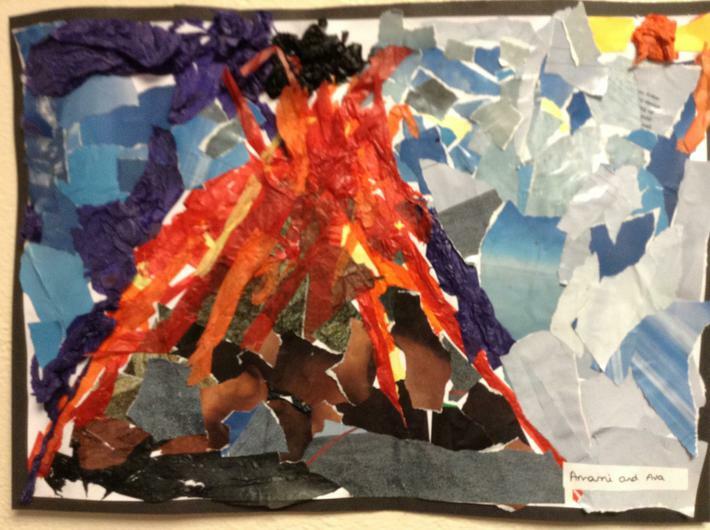 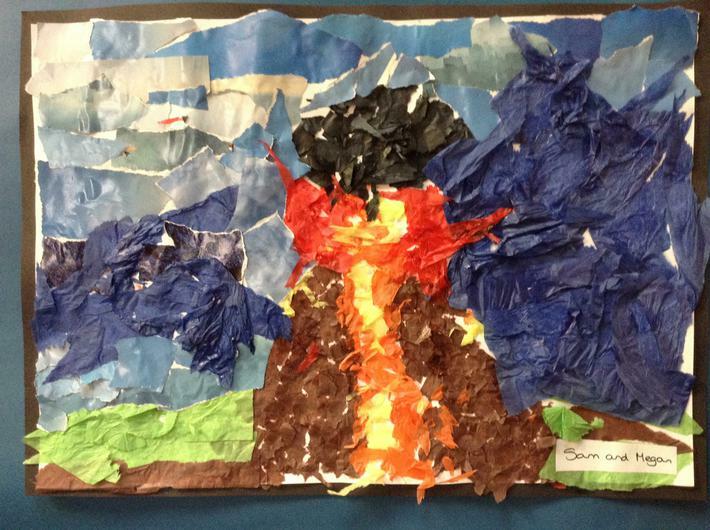 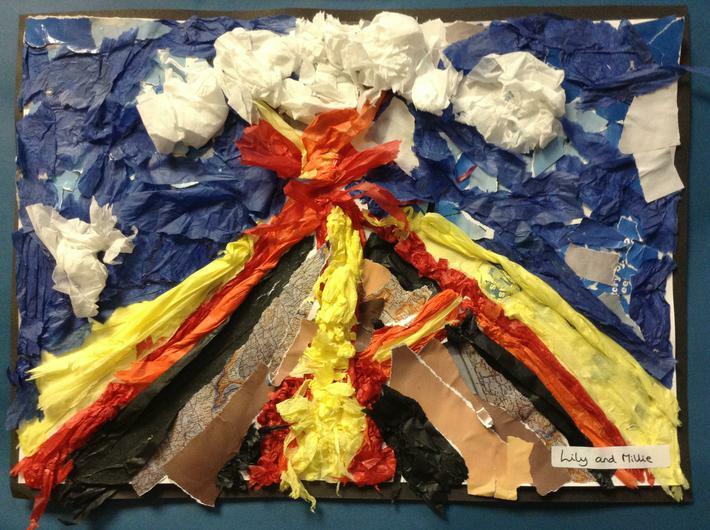 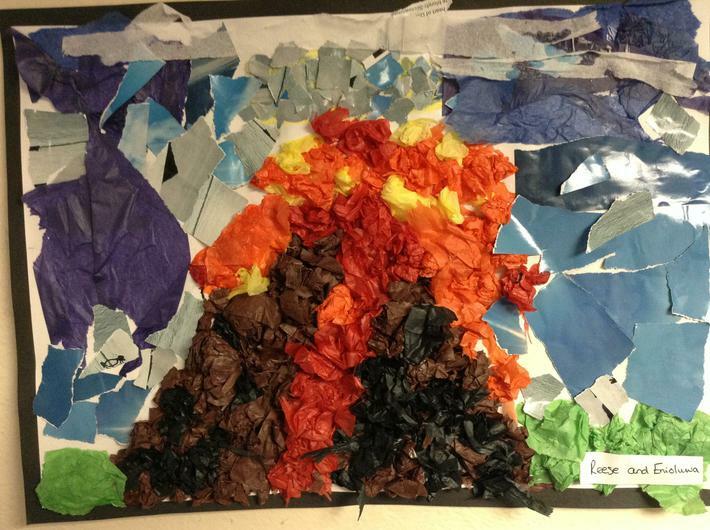 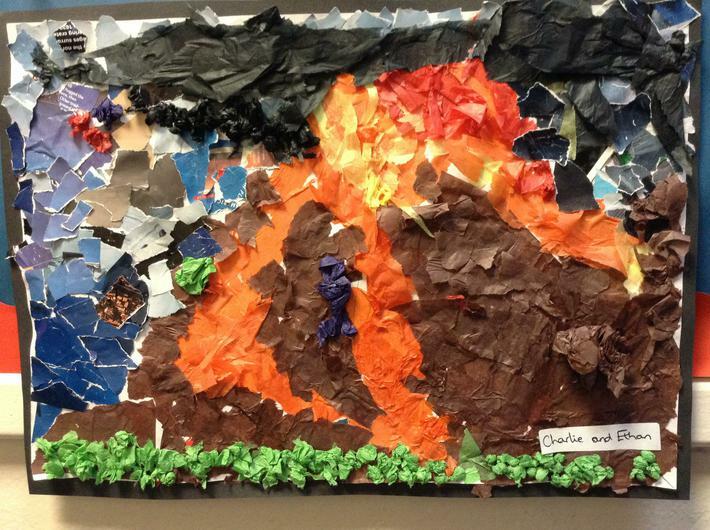 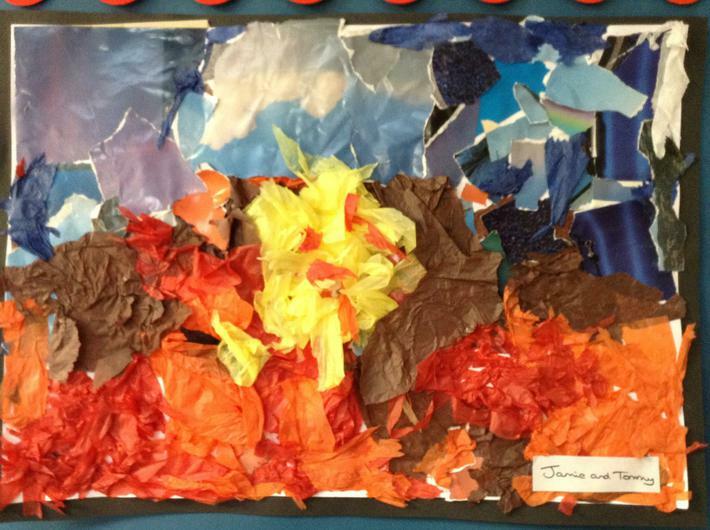 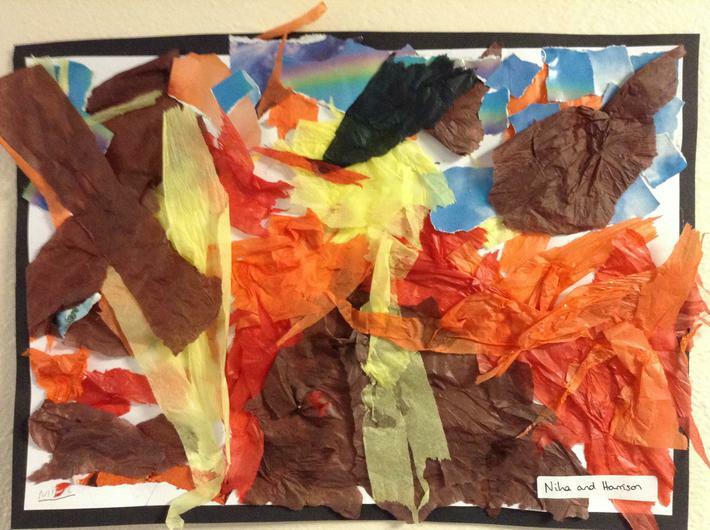 We were inspired by Margaret Godfrey to create collage pictures of volcanoes. 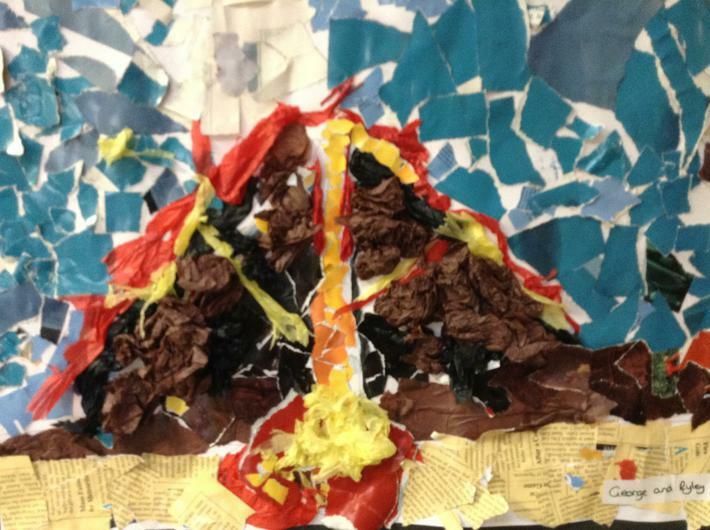 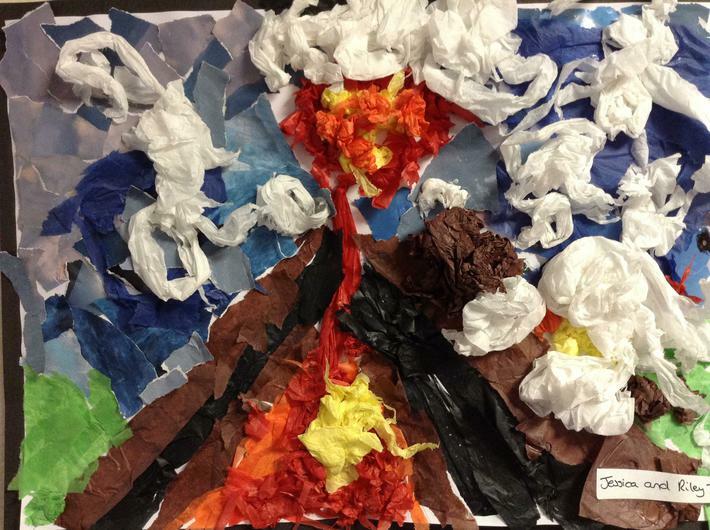 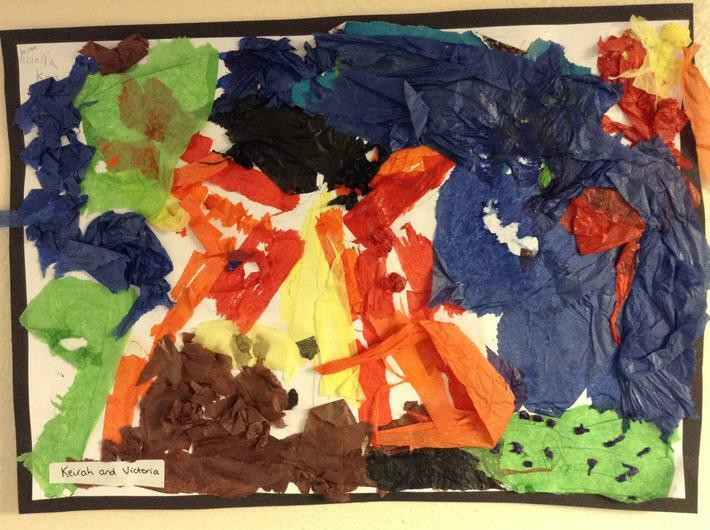 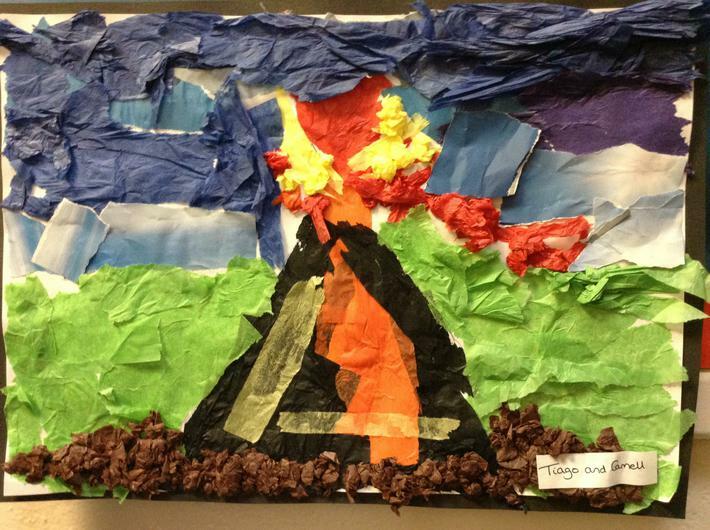 We used tissue paper and magazines to add different colours to our sketch of the volcano outline. 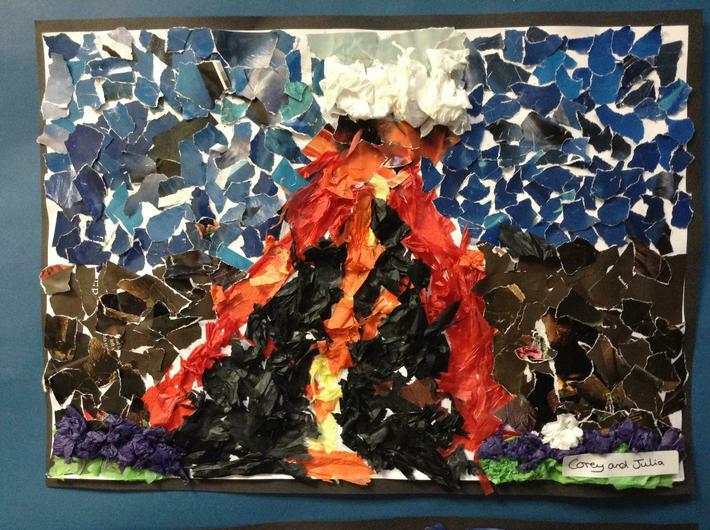 See if you can spot the magma chamber, magma vents and they layers of rocks in our pictures.